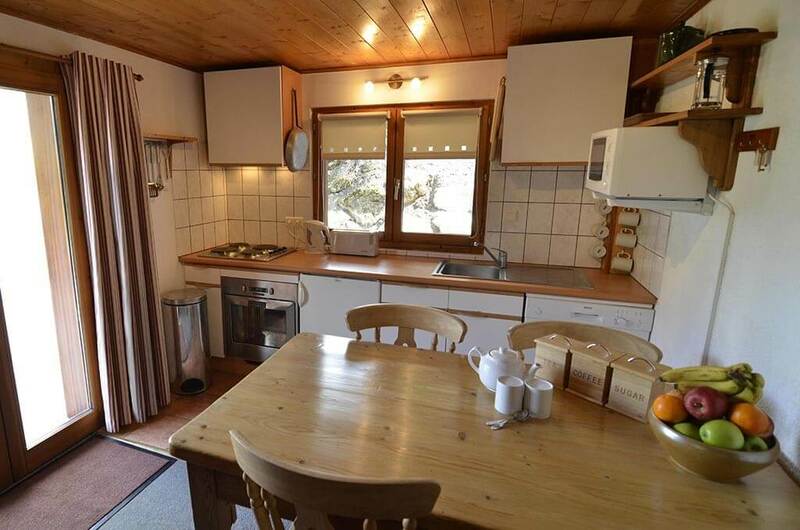 Located on the ground floor of our flagship Chalet des Montagnes and close to the centre of Morzine, this 2 bedroom apartment offers excellent flexibility during the summer. Versatile and family-friendly, it can be booked on either a self catered or catered basis. Apartment guests enjoy use of the all chalet facilities, including luxury outdoor hot tub, magnificent terraces, table tennis and landscaped gardens. 2 bedrooms (+ single sofa bed) & 2 bathrooms. Sleeps 2-5. 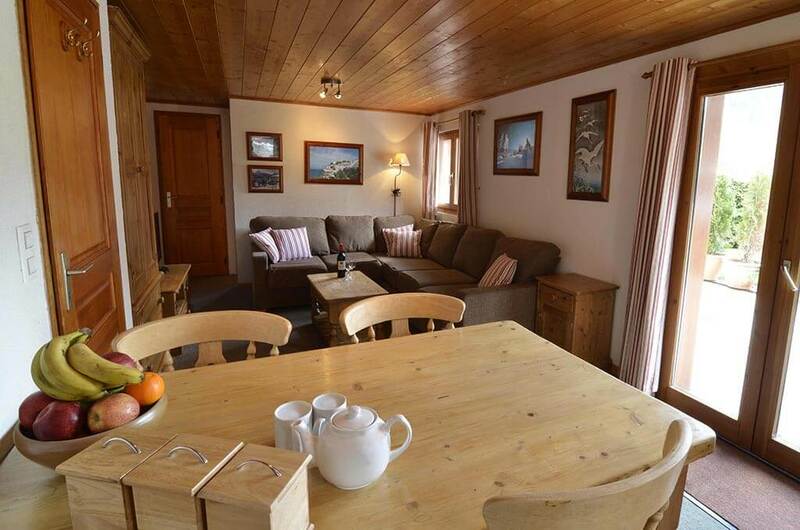 The lovely Chalet des Montagnes Apartment is a firm favourite with families of up to 5 people. It offers a private bolthole on the ground floor, from where guests can take advantage of all our flagship chalet offers – including the outdoor hot tub, large open & covered terraces and beautiful gardens. 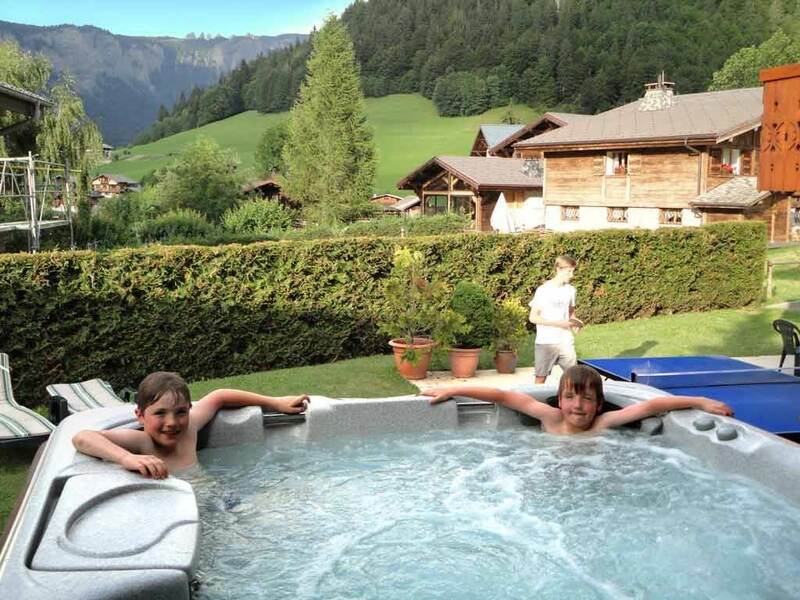 As like-minded families enjoy their alpine adventure in Morzine, there is a special, sociable atmosphere at Chalet des Montagnes where adults and children alike make holiday friends – a unique summer holiday chalet like no other. 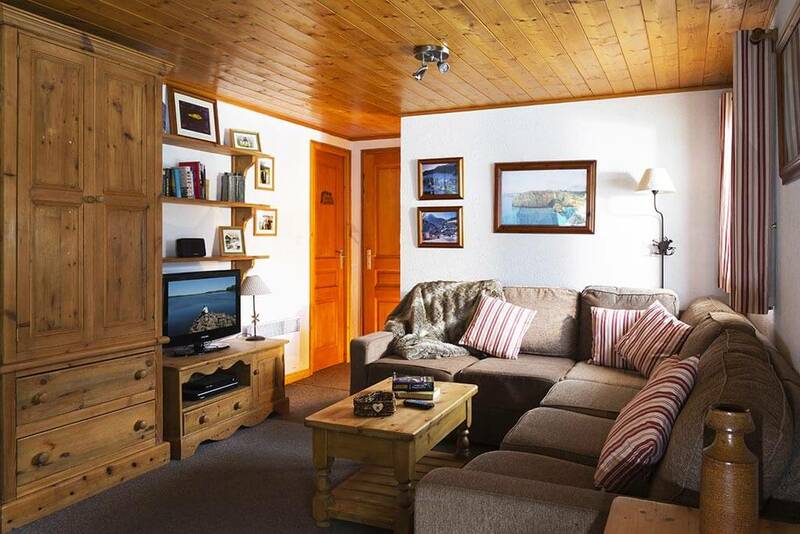 Our versatile 2 bedroom, 2 bathroom apartment (plus sofa bed) can be booked on either a catered or self-catered basis. 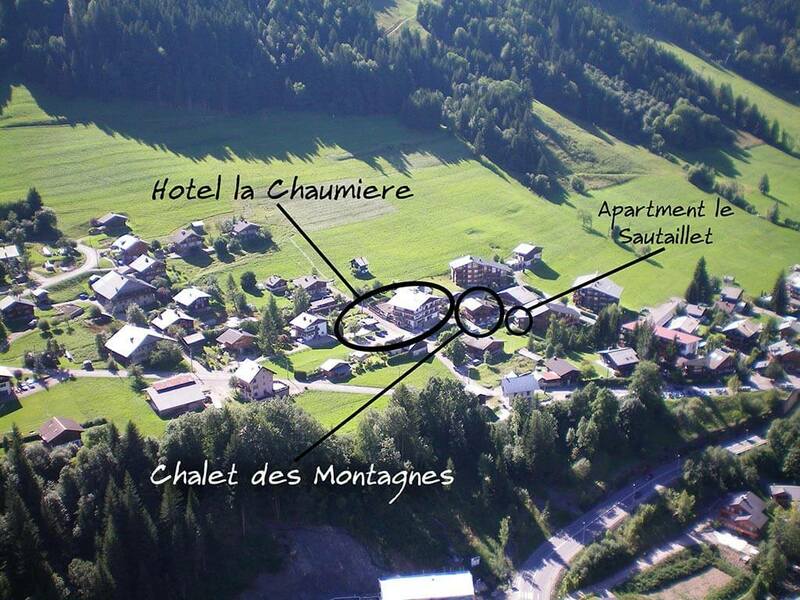 Enviably positioned not far from the centre of Morzine, the apartment is conveniently situated for the shops, bars, restaurants, supermarkets and the world class facilities available during the summer. 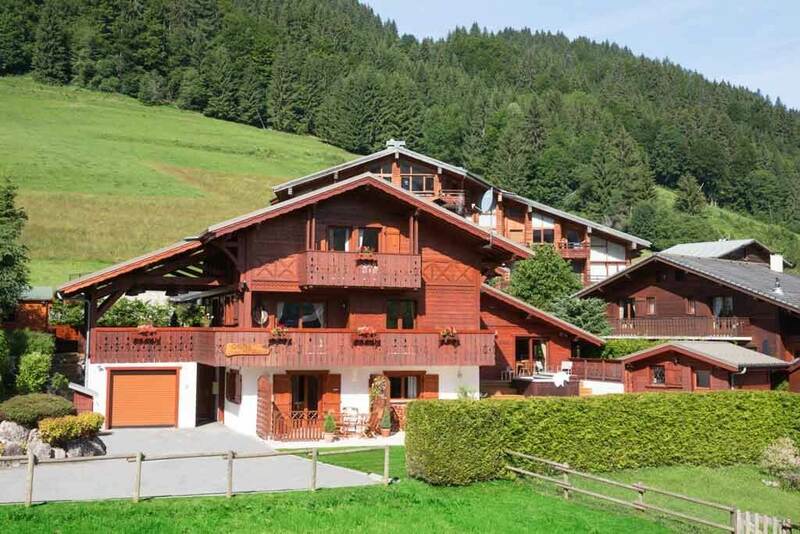 Although everything is almost on the doorstep, Chalet des Montagnes is tucked away in a safe, peaceful and traditional old farming area – now Morzine’s must sought-after residential quarter. 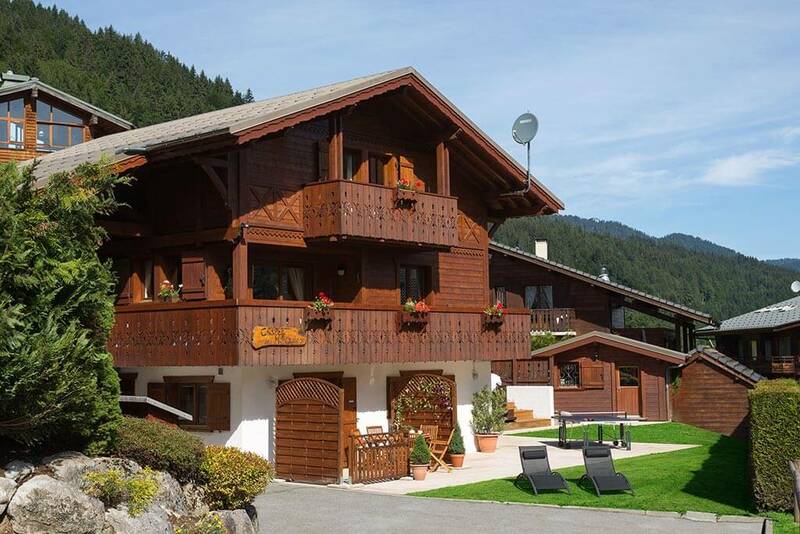 The chalet almost backs on to alpine meadows and the views are simply breathtaking. The apartment includes an open plan lounge/diner (with UK Freeview, DVD, WiFi and wireless music system) and well-equipped kitchenette. If booking on a catered basis, all meals are normally served upstairs on the covered dining terrace with the other guests. 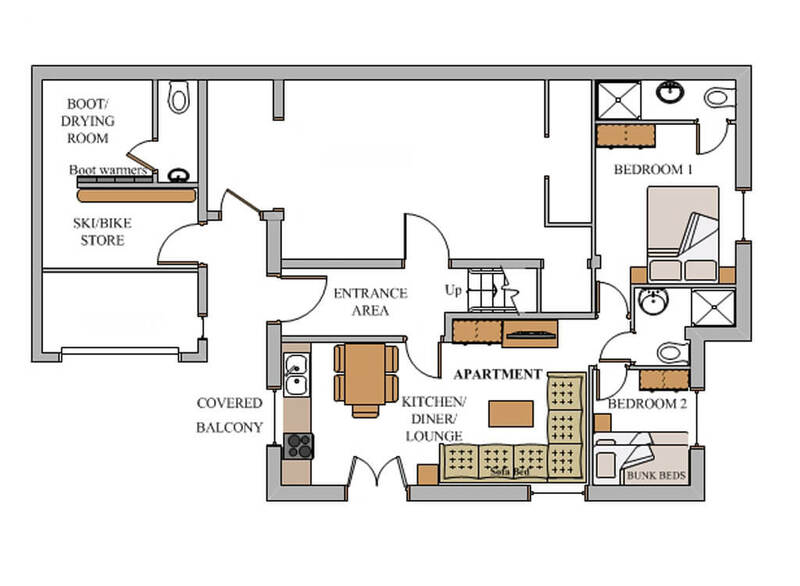 Or, if preferred, guests can dine privately in the apartment. French doors open out onto a patio terrace with table, chairs and BBQ. This extends to the chalet’s lawned gardens and grounds. The apartment has one ensuite double bedroom. The second, smaller bedroom contains fitted bunk beds and is perfect for children. The sofa in the lounge converts into a 5th bed if required. 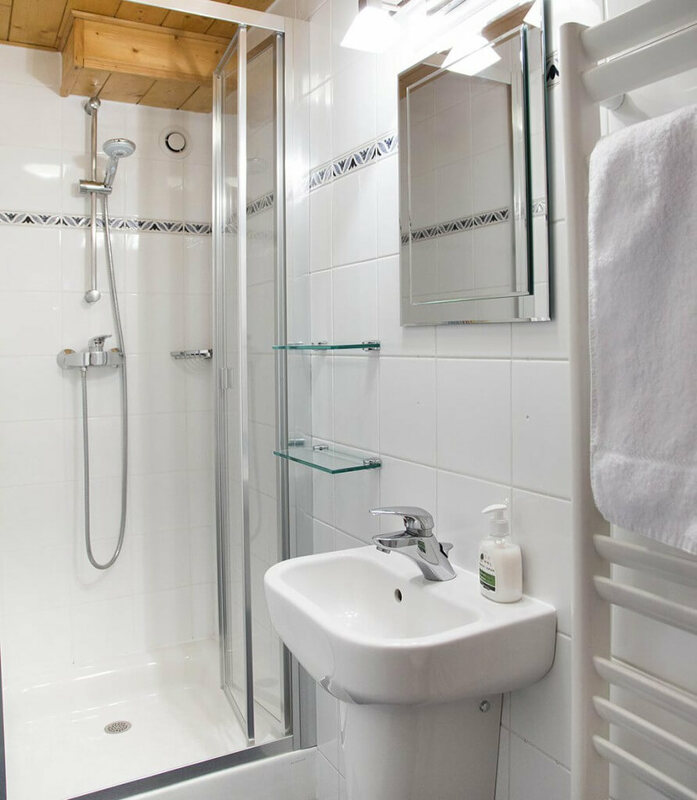 The second bathroom is accessed from the lounge, to serve both the bunk room and communal area. The chalet has a bike store / drying room and private off road parking for self drivers. If required, complimentary return Geneva airport transfers are included for catered guests. We can provide transfers for self catered guests (if required). 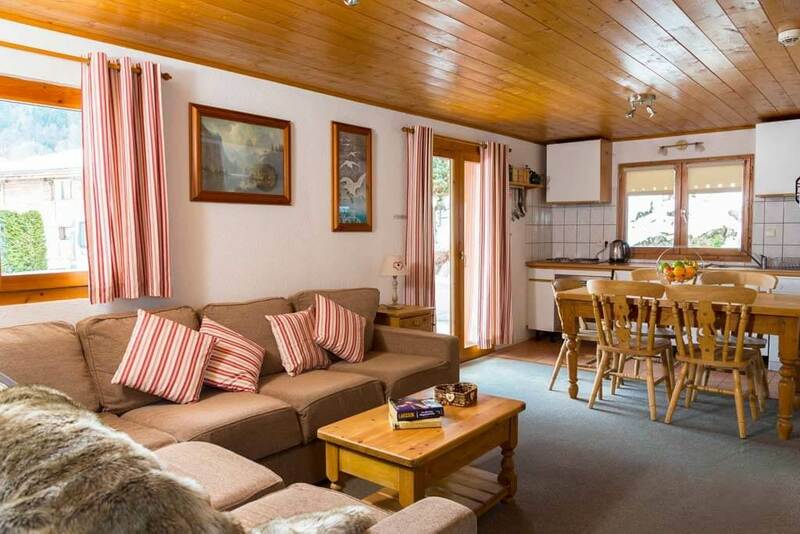 Whether Chalet des Montagnes Apartment is booked on a catered or self catered basis, our Simply Morzine resort representatives are always on hand to help make the most of your summer holiday in Morzine.